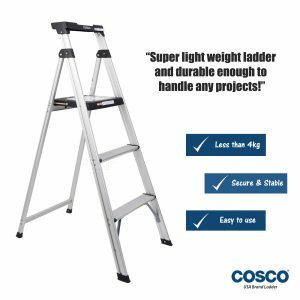 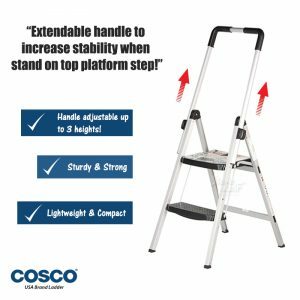 Our innovative range of COSCO ladders are crafted from lightweight aluminum, with a featherweight design – to effortlessly fold, store and carry. 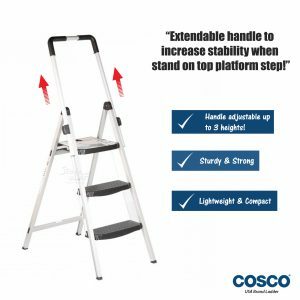 Thanks to a recessed top area and a comfortable large platform, you get enough room to carry out the toughest of jobs. 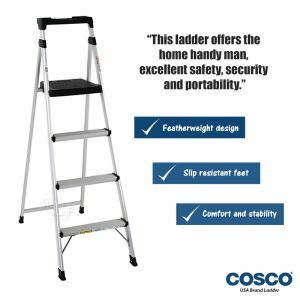 Other features include a tool-integrated top, and slip-resistant feet, which add to the convenience and security. 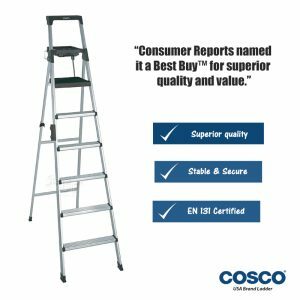 Our ladders can be easily folded flat, and are secure, stable, safe and non-marring. 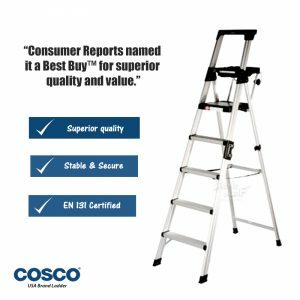 They also meet the ANSI standards for Type II Medium Household Workload Duty. 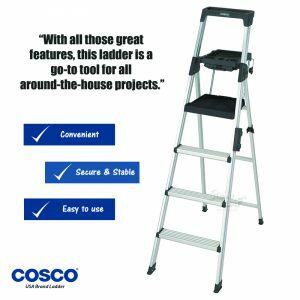 Pick from our 2-steps, 3-steps, 4-steps, 5-steps and 6-steps ladders today!